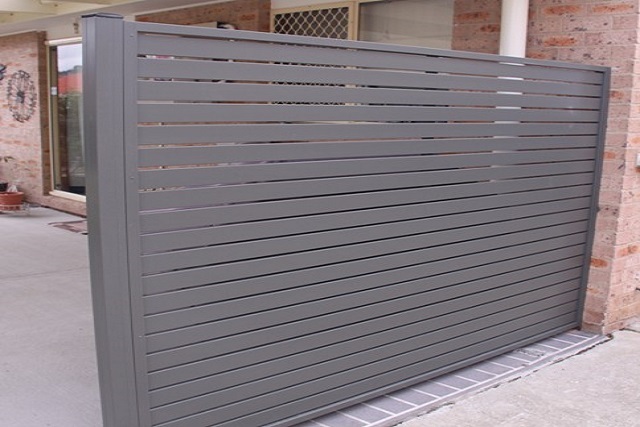 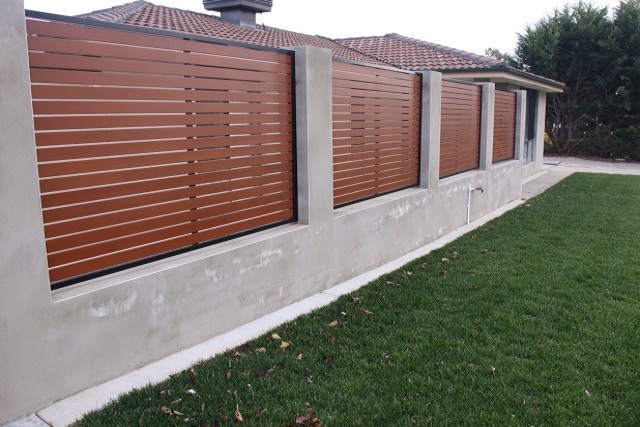 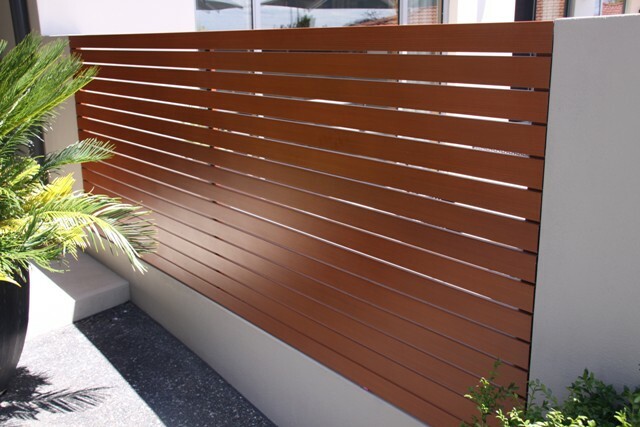 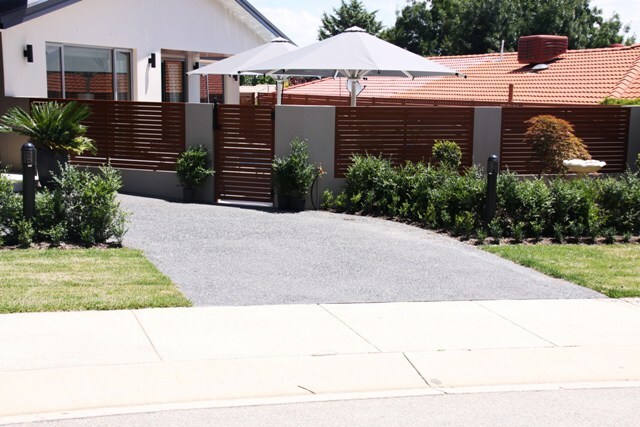 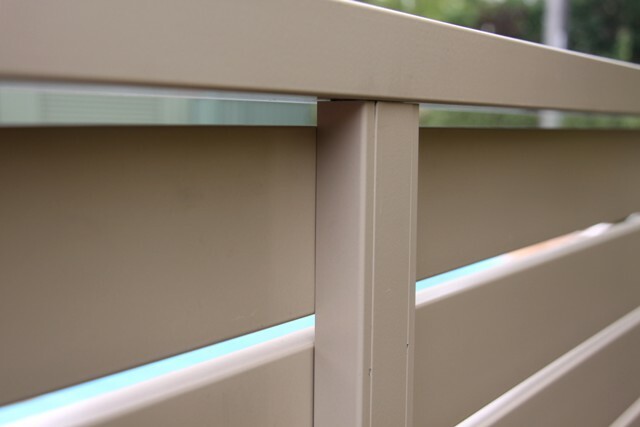 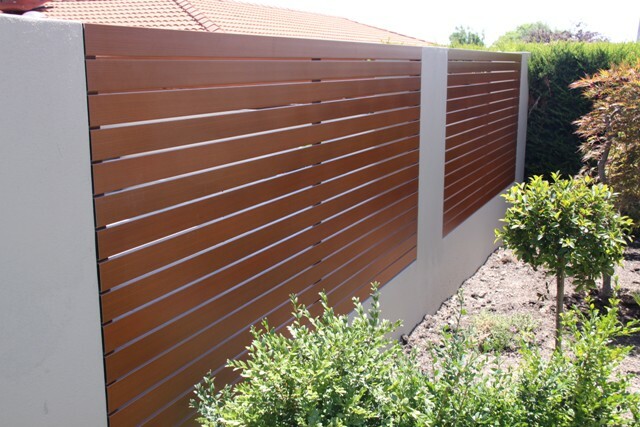 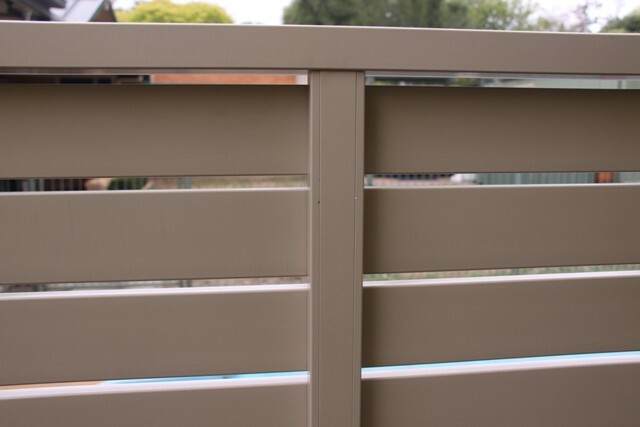 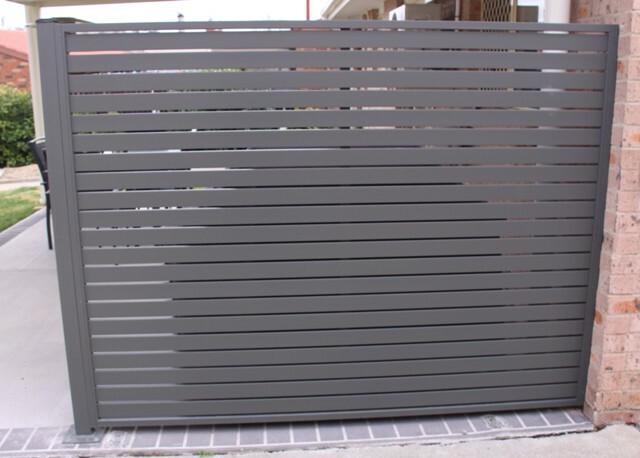 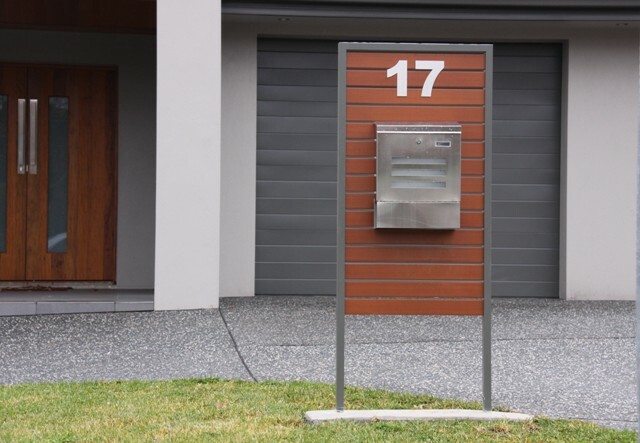 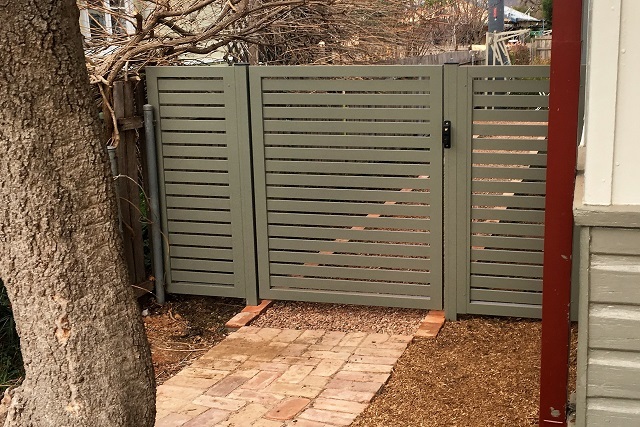 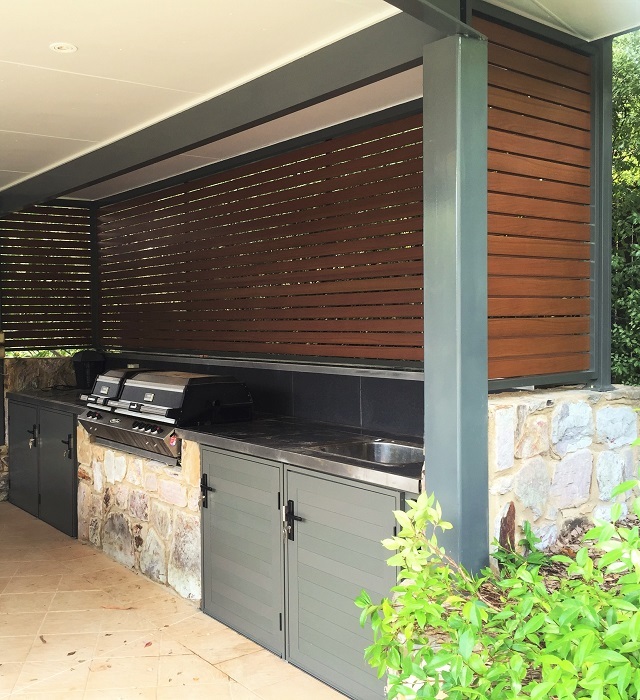 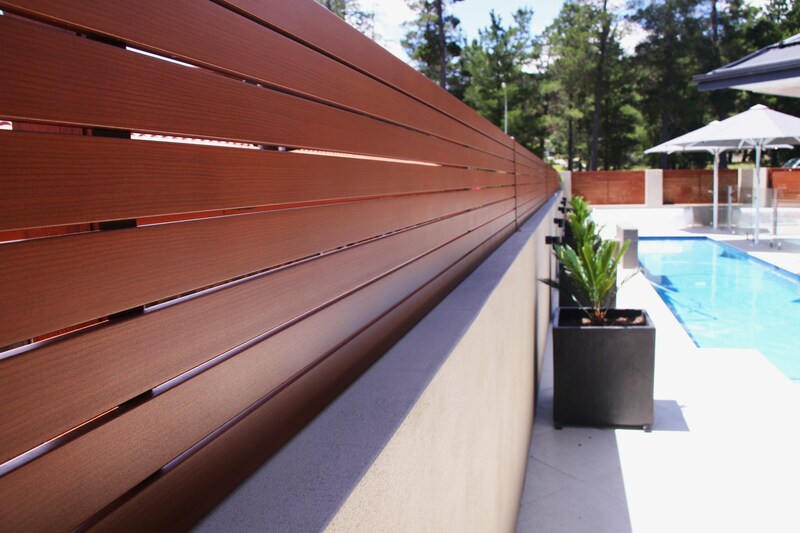 Alucom's range of aluminium slat fencing is stylish and maintenance free offering a choice of woodgrain or powdercoat finishes. 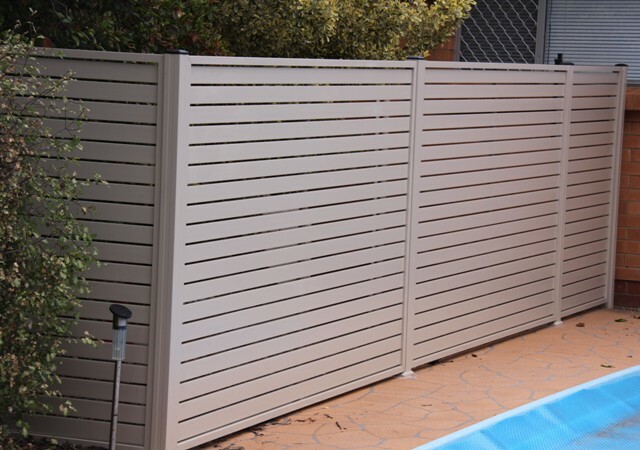 We also stock ready made pool fencing, gates, posts and accessories for the DIY market at competitive rates to save you $$$. 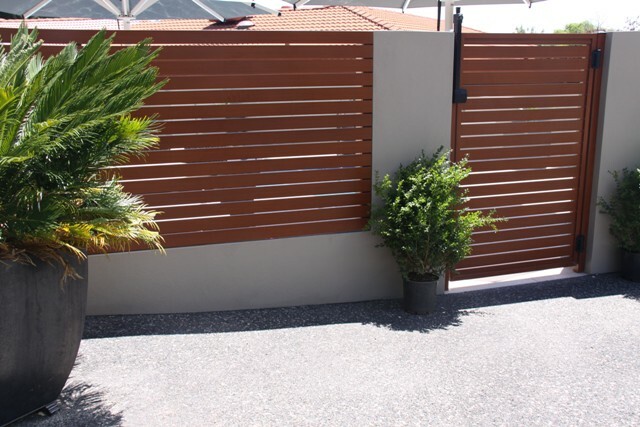 Call us today or drop into our showroom to see the range on offer. 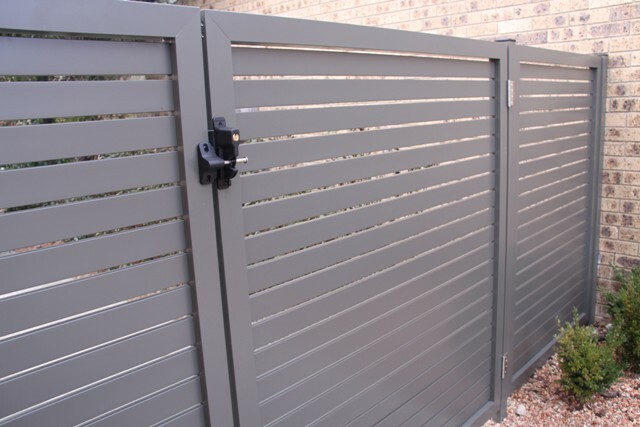 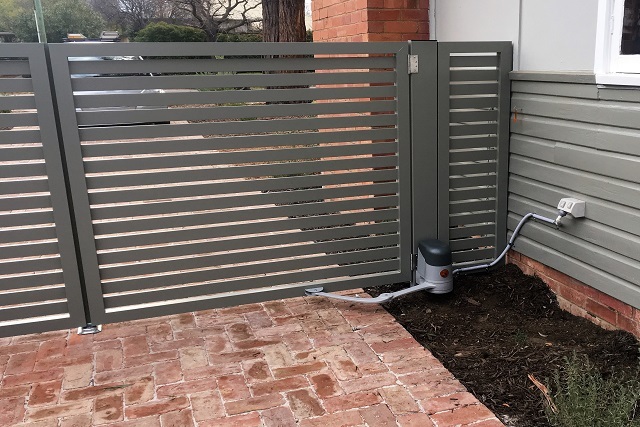 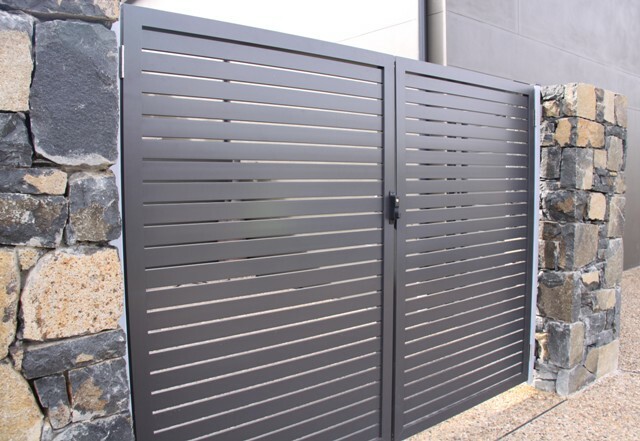 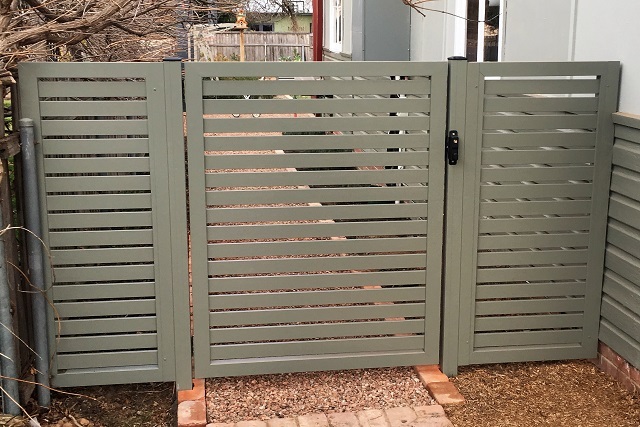 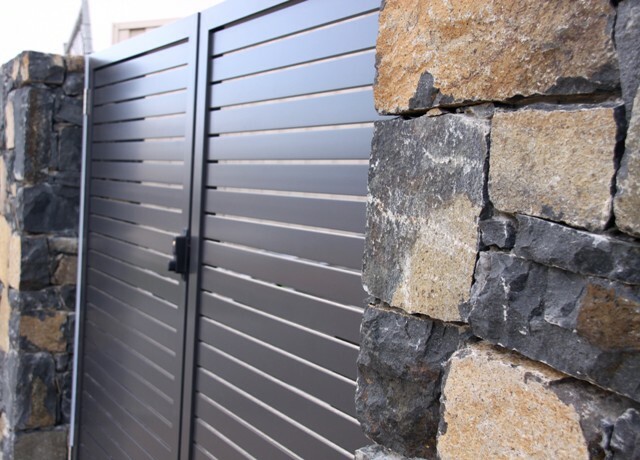 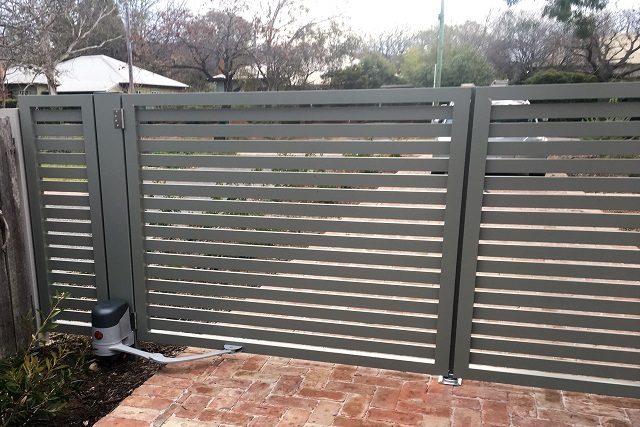 Due to increasing demands for good aesthetics Alucom has designed an exclusive slat fixing system so that whichever way you look at our fencing and gate products you will not see any ugly screws or rivets. 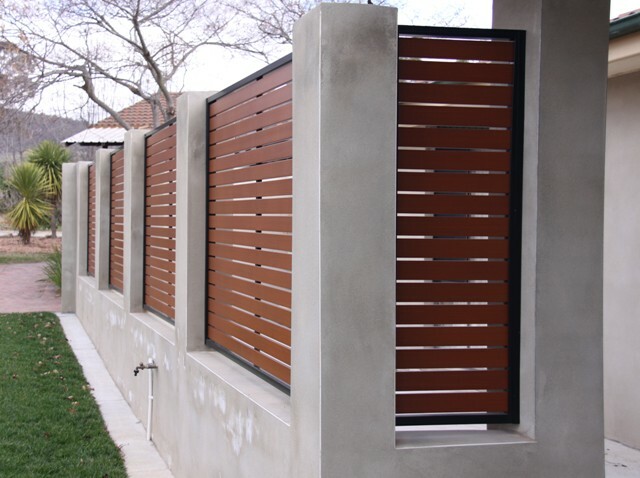 Our slats are also inserted into the frame with pre-determined punched infill sections to achieve accurate and symmetrical spacings. 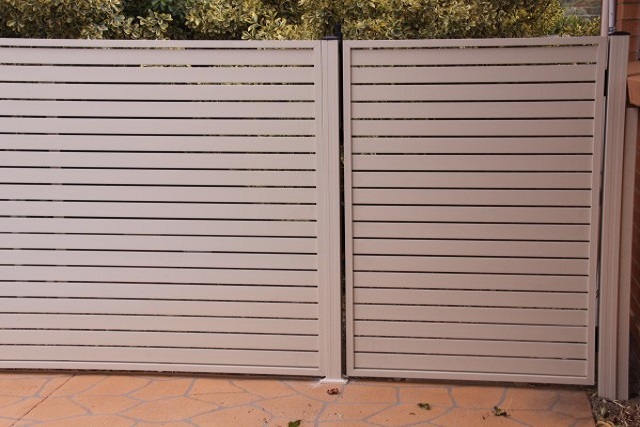 Choose from 8mm, 16mm or 25mm spacings to suit your individual requirements. 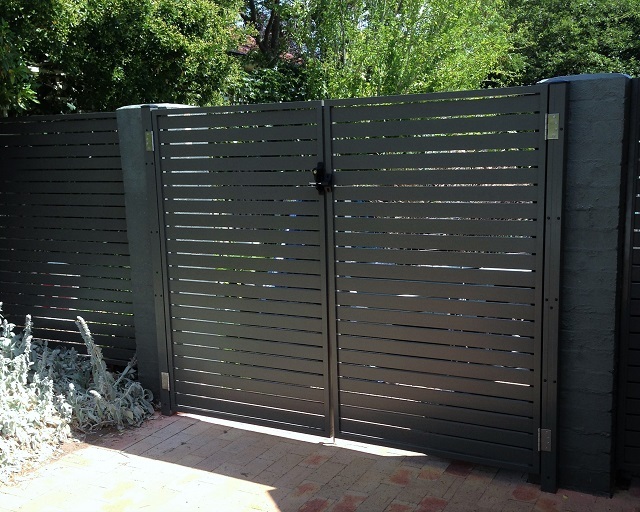 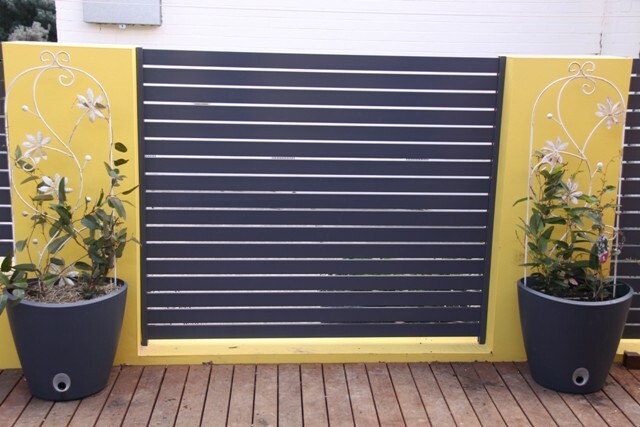 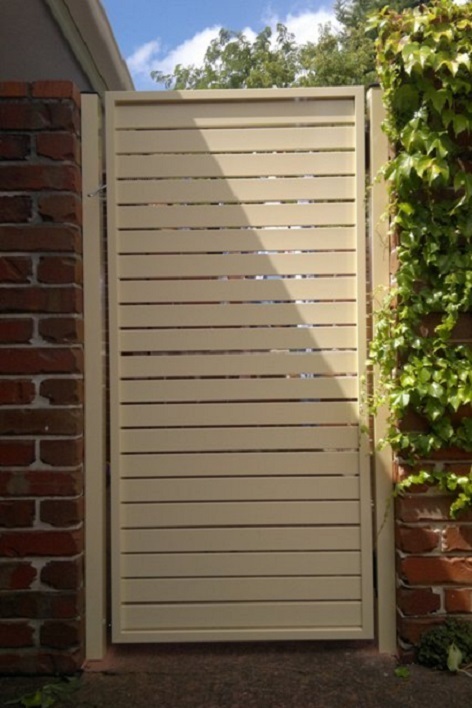 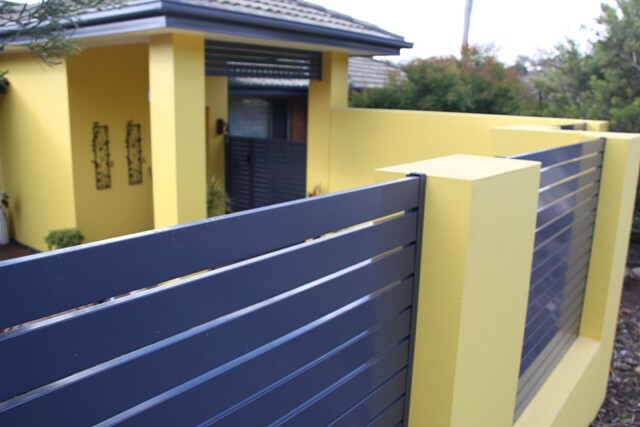 We are confident our slat system will make you feel safe and look good! 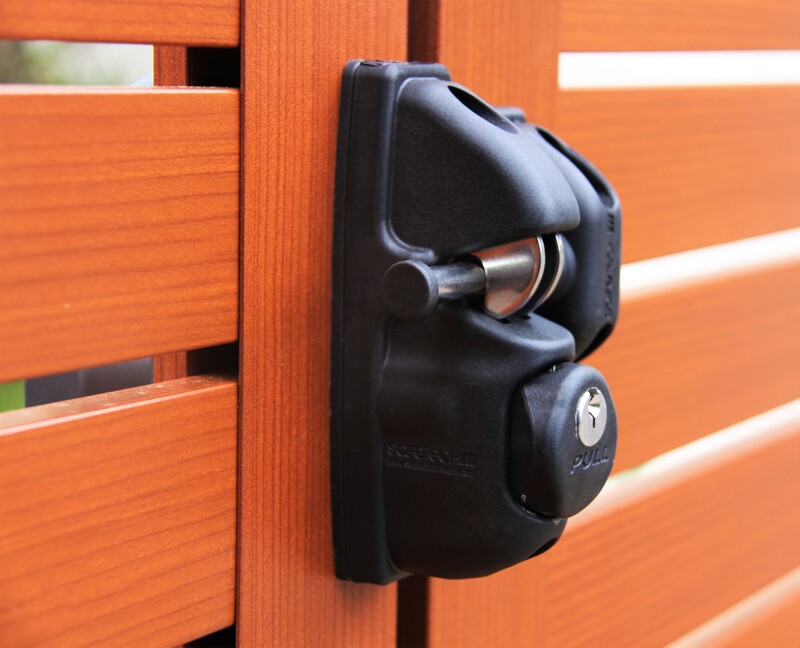 Polymer and steel key locking gravity gate latch. 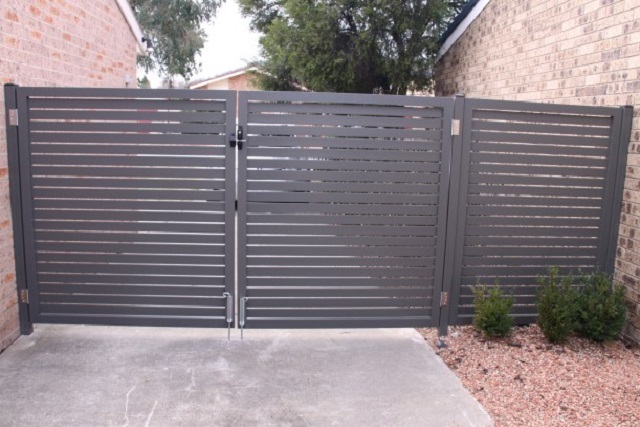 It is key lockable both sides (X2), easy to use, can be repinned for WAS compatibility (POA) and to suit most front door keys (locksmith service). 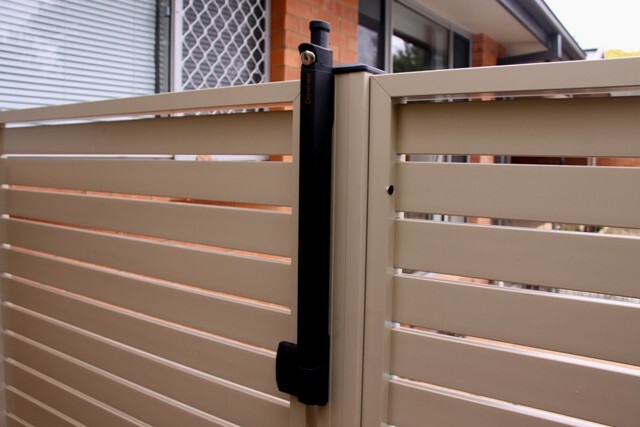 The gate hinge is a reinforced and UV stabilised black polymer. 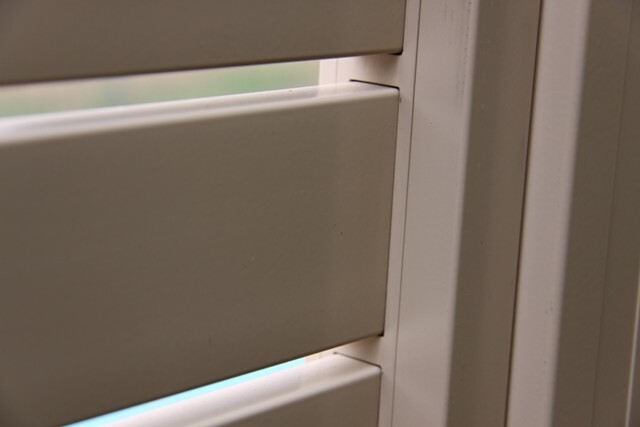 Superior tension adjustment. 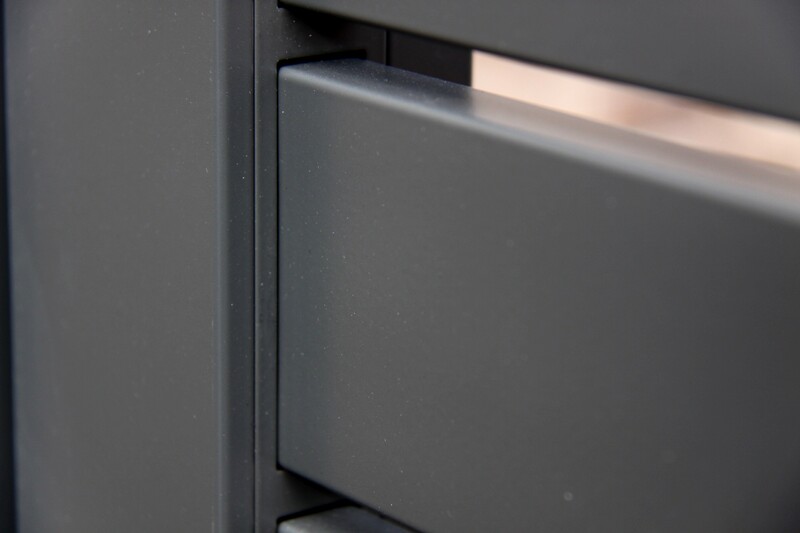 Self closing sprung hinges. 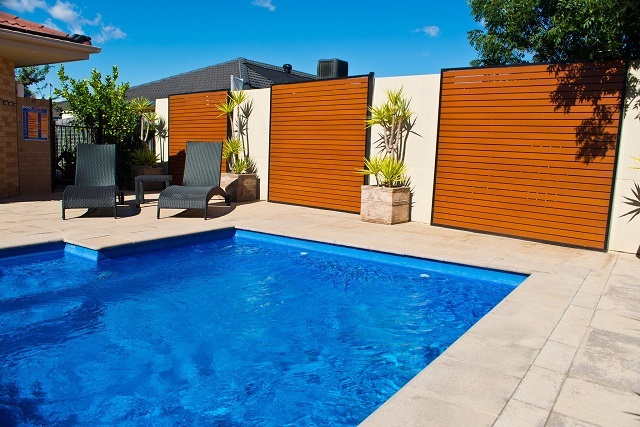 Rust free and visually appealing. 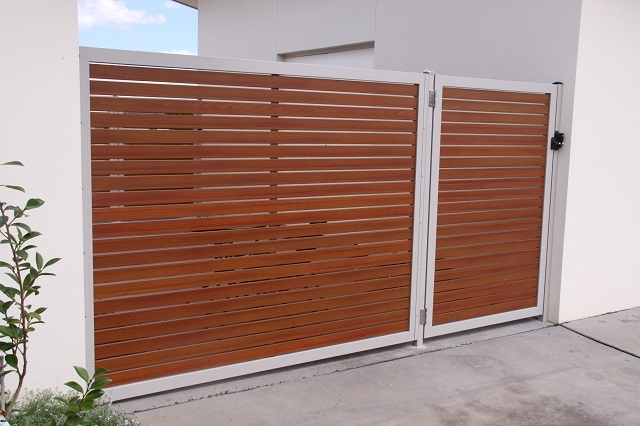 These twin motors are capable of opening a double swing gate up to 4 metres wide and weighing up to 200 kg. 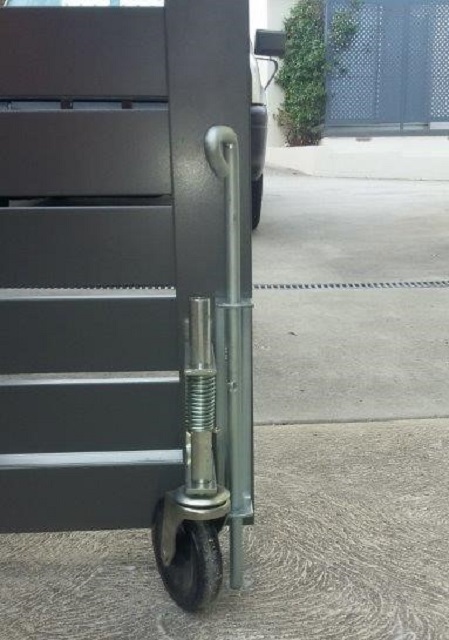 The motor kit comes with 2 GTX4 remotes. 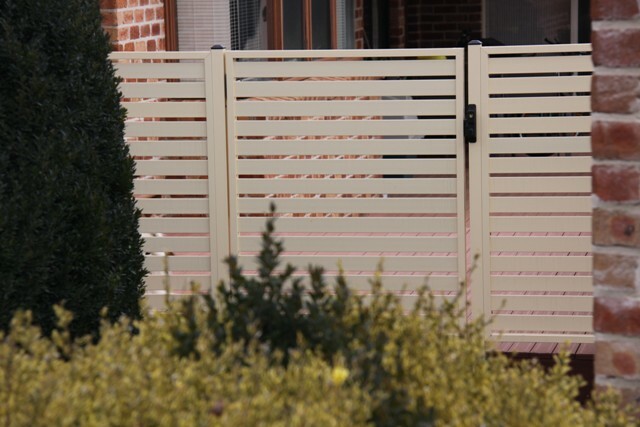 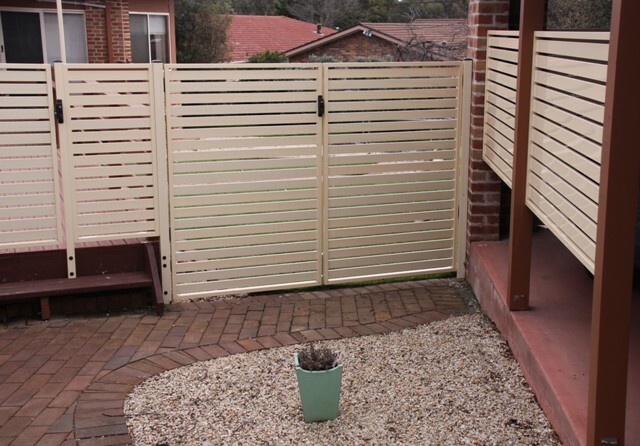 COMPACT AND DURABLE: Ideal for gates with very deep pilars. 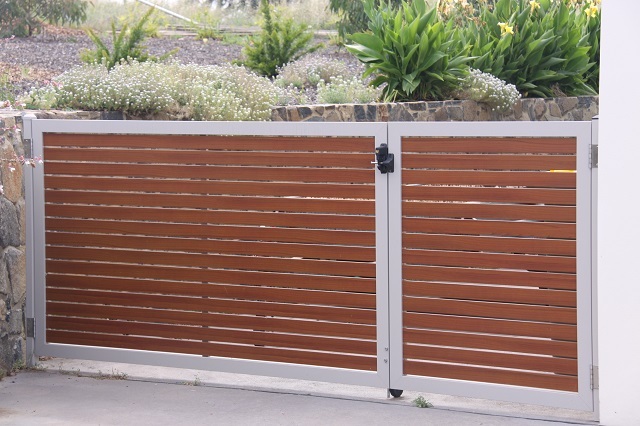 GATE STOPS: Integrated Mechanical Limit Switches. 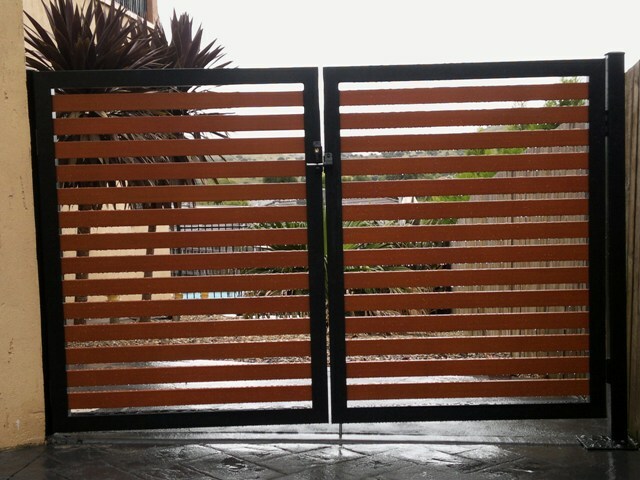 NO WAITING: 10 seconds to open or close (in perfect conditions to 90°). 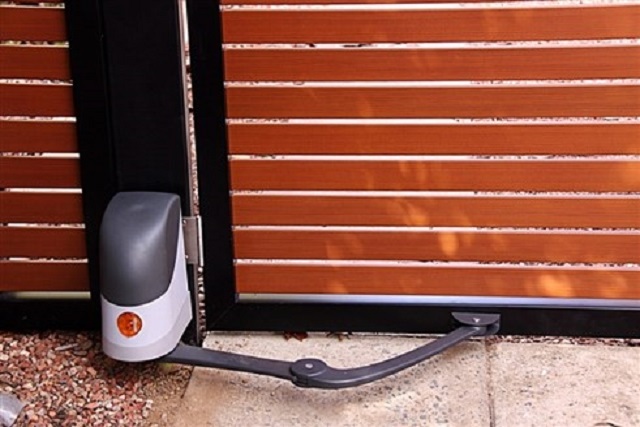 SAFETY: low voltage (24V), safety accessories and the automatic obstacle detection. 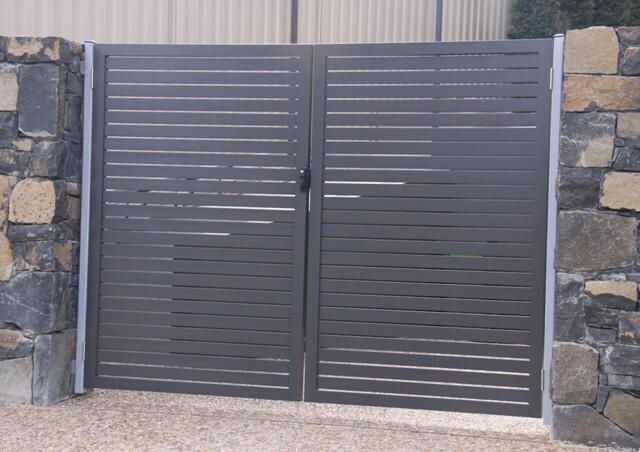 AUTO PROGRAMMING: automatically calculates the most suitable operating parameters for each gate. 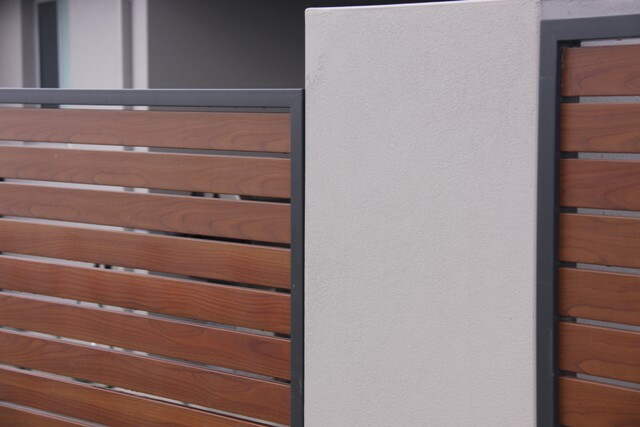 SELF-DIAGNOSTIC: identifies and immediately signals any connection errors or malfunctions.